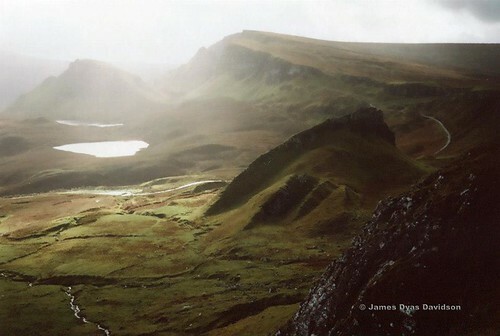 Trotternish Ridge, Skye, a photo by James_at_Slack on Flickr. Going for a walk is never a waste of time. Fresh air, exercise, hopefully some sun and a dose of Vitamin D and time away from the screen and LCD. It also allows time to think and perhaps have the odd creative thought. Pursuing a creative urge, or just trying to achieve anything you desire, is a journey with a destination we long for and hope it will bring contentment and satisfaction. But often the destination fails to satisfy for any length of time - like the instant relief of removing your rucksack after a long walk. But you soon plan your next journey, your next 'fix' because you feel you could do more, do better, overcome your limitations and weaknesses. As Shakespeare wrote: Things won are done; joy's soul lies in the doing.